Temperatures near 100˚ for as far as the forecast goes, corn over head high, and zucchini the size of baseball bats (well, not quite, but close.) I have a feeling it’s going to be long July of finding creative ways to use the abundance of zucchini. I grew up on zucchini bread and really nothing else. For the longest time I had no clue zucchini could be used for anything except sweet bread. 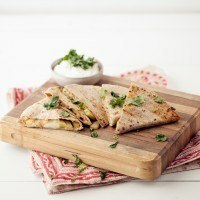 This quesadilla is a snap to throw together and I think you could even convince your meat-grilling friends to save you some space on the grill! Additions of summer squash and eggplant would also be delicious! Cut zucchini in to ¼” slices and place in a large bowl. Whisk together ½ tablespoon olive oil, 1 teaspoon cumin, ¼ teaspoon flakes, ½ lime zest/juice, and ½ tablespoon of honey. Pour over zucchini, cover, and let sit for at least 30 minutes. When ready to cook, light grill to medium heat. Place slices on grill and let cook on each side until browned, 2-3 minutes. Remove from heat and carefully cut in to small strips. Layer strips on half of the tortilla and sprinkle mozzarella on top. 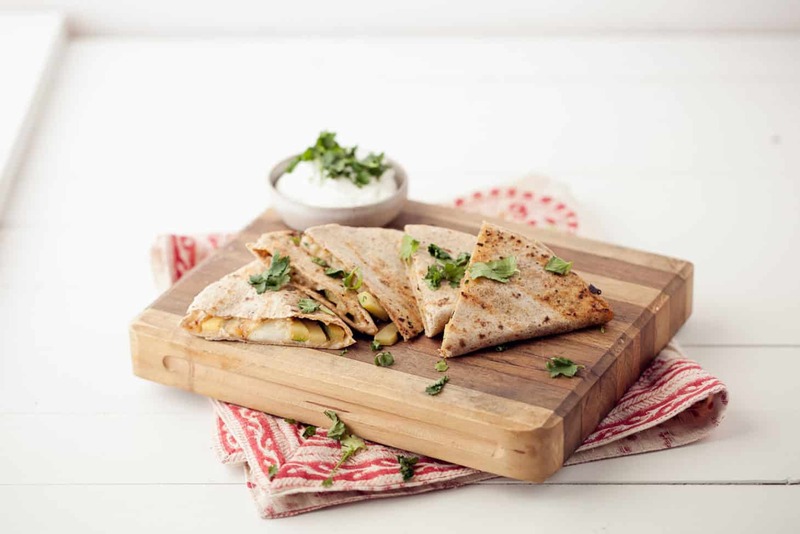 Return to grill and cook on each side until tortilla is crisp and cheese is melted. 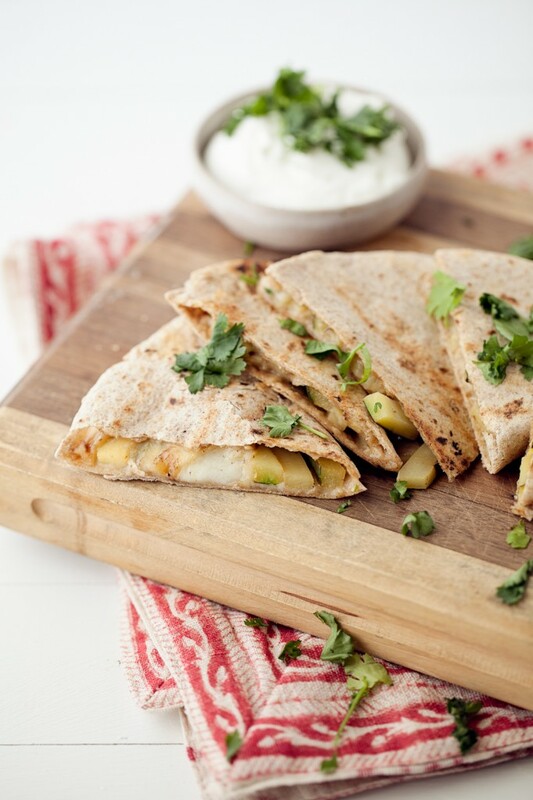 Serve with greek yogurt mixed with lime juice and cilantro. This looks gorgeous and such a wonderful combination of flavours – love the cumin and lime, it makes it sound so summery! I’m totally starting to collect more and more zucchini recipes every year because I always have so much! This one is definitely being saved, thank Erin! Such a simple, yet inspired recipe. A great lunch. I’ll be making this soon. Thanks for posting this. It sounds delicious. Mmm cumin makes everything better! Love this! Oh my gooooooosh this hurts so good. you are so creative with your flavour combinations! Hi! I am really enjoying reading all of the creative recipes on your blog. I made this dish last night and it was absolutely delicious!! WOW, had no idea zucchini could taste this good. I used pepper jack cheese (just b/c it’s my favorite). Thanks so much for sharing! Just made this one. My husband loved it (and he’s not a zucchini fan.) Thanks! Oh my gosh these sound fabulous!! Looks yum! Zucchini is also great sliced in rounds and added in caldo de res (a beef soup loaded with veggies and flavored with garlic and cumin, plus my family recipe calls for a can of tomato sauce for extra zip). OMG, these looks incredibly delish! I’m celebrating my birthday with a recipe link up and a giveaway for a spice package containing 4 ounces each: ground cardamom, ground chipotle pepper, whole cumin, ground ceylon cinnamon, oregano, and granulated garlic. I would love for you to come link up this recipe along with some of your other amazing creations! TGIF.